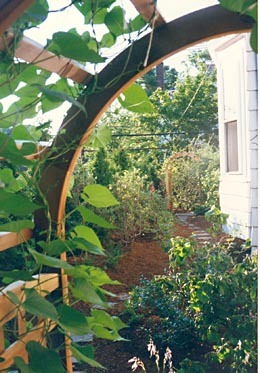 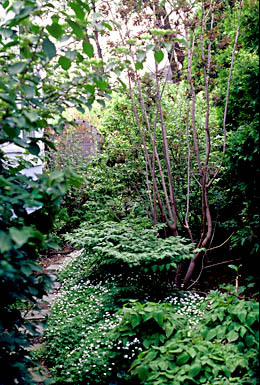 This unused side yard became an intriguing walk between front and rear entrances. 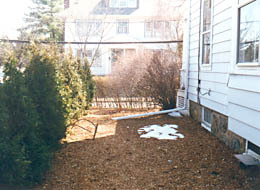 Arborvitae wall off the view of the neighbor’s drive. 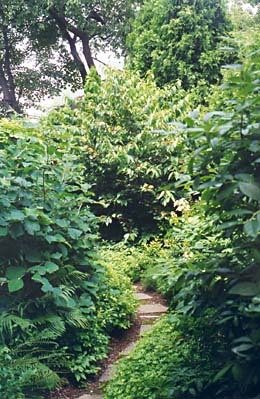 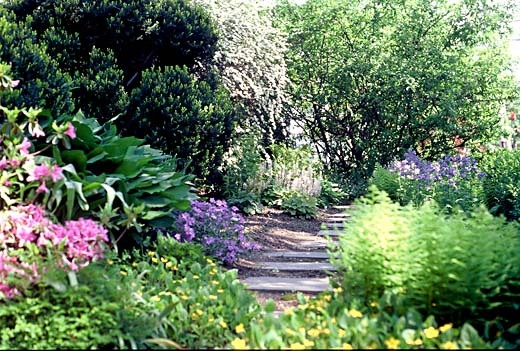 Tall flowering shrubs create an overstory planting; low shrubs alternating with shade tolerant perennials and ferns lightly brush one’s knees, and early wildflowers and groundcovers carpet spaces between the stepping stones.